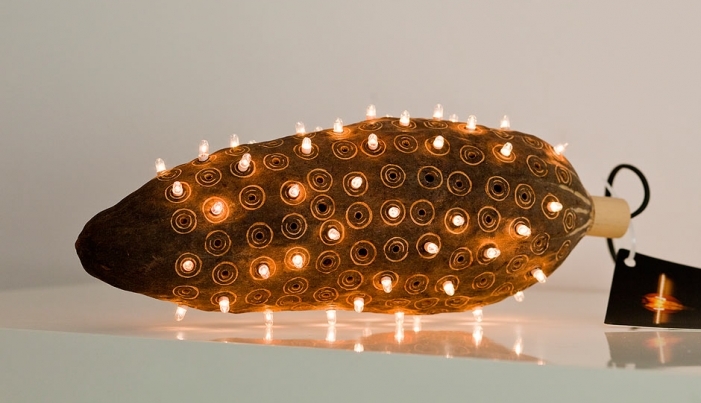 1 baobab fruit, 55 small bulbs and 1 AC. 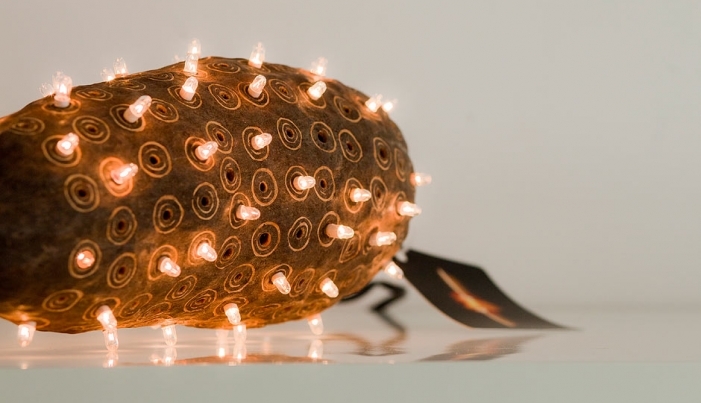 The bulbs penetrate the fruit through drilled holes, leaving circular patterns and resulting in a nice graphic feeling. 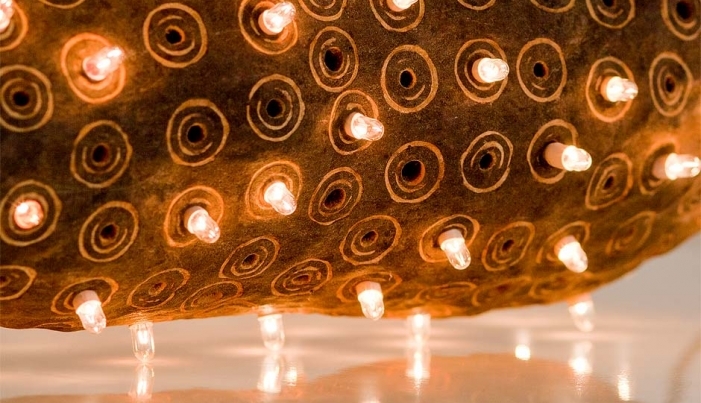 This sculpture can be used as a table lamp or serve as a hanging lamp.